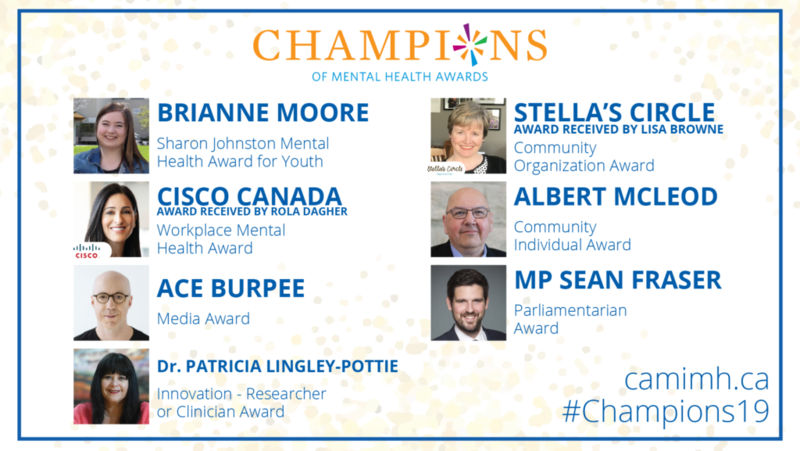 It is our honor to extend congratulations to Dr. Patricia Lingley-Pottie, winner of the 2019 Champions of Mental Health in the category of Innovation – Researcher or Clinician. "We became a team – we’re working together now. My husband and I are calmer, the kids are calmer, and we are spending more time together” - Parent of a 12yo female who completed Parenting the Active Child"